Working As An Accountant – So you have chosen to become an accountant, or, you just want to learn more about what an accountant does, and what the job will mostly entail. There are many positions available under the umbrella of being *an accountant* and they include Project accountants, tax accountants, payroll officers, accounts receivable, financial and management accountants, financial analyst, tax consulting and corporate finance, just to name a few. The skills you need include analytical and computer skills, critical judgment, leadership, good communication, problem solving, the ability to research; possess great time management skills and strategic thinking. Don’t panic, depending on which area you want to specialise in or study, not ALL of these skills may be needed. When applying for a job and you want to stand out from the crowd, you need a well prepared and detailed resume we can help with preparing that. Resumes help you get your *foot in the door* and are a reflection of you and who you are, what you offer and your skills and qualifications a sloppy looking resume will get you noticed, but, for all the wrong reasons! So, what kind of work can you expect if you have decided to become an accountant??? The job is varied and so are the duties which may include – preparing profit and loss statements, compiling financial information and analyzing information allowing you to prepare accounts. Analyze and review budgets, this may be for local, state, federal or private funding, grants and contracts. 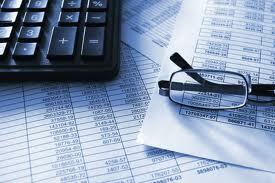 You may also be involved in preparing budgets and reviews, expenses, payroll and other accounting related documents. You may find that you have to spend some of your day explaining billing and invoices to staff or clients, make sure financial data and reports kept in the computer are up to date, resolve any account discrepancies and perhaps recommend budget levels and control expenditure. As you can see the role can be quite extensive and quite varied, with many other *levels* of accountant roles available to you. PUBLIC ACCOUNTANT – this is the broadest and most varied type of accounting with duties including bookkeeping, financial analysis for individual clients through to business and government. A public accounting business can range from one accountant, to a partnership of a firm containing hundreds of accountants. MANAGEMENT ACCOUNTANTS – are also known as private, cost, industrial or corporate accountants. Rather than offering their services to the general public Management accountants are usually employed by a business to record and analyse the company’s financial data. You will also be in control of budgeting for the release of new products and prepare financial data for tax authorities and investors. The field and range of jobs in this one area is huge and we will be able to assist you with putting together a resume that will get you noticed; you want to stand out for all the right reasons! With your CV listed on our candidates page employers will come looking for you, giving you a much better chance of finding that job of your dreams. Sign up here get started and let employers see your skills, in this day you need to put yourself ahead of the pack and this is a great place to start. Don’t forget to be sure to subscribe to our blog while you’re here! What goals do you hope to achieve with your career??? If you are an accountant, what do you find most rewarding about your job?